Wow, middle of March of 2013 and the year is still new. Also, tomorrow is National Quilt day. Shop hops, Quilts shows and so much more going on this month and of course, St Patrick's Day this weekend. 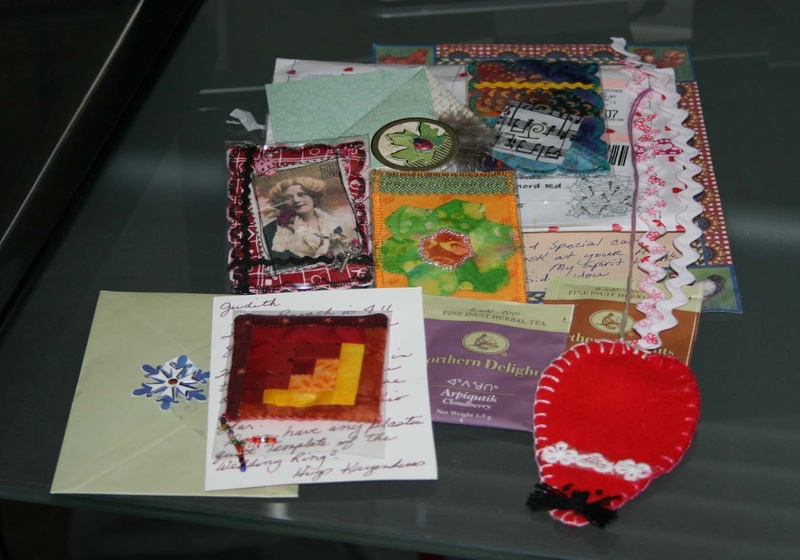 ATC's and an envelope to hold them in. A log cabin brooch which will go on my guild name tag, red mouse book marker that I will use for my new Sew Red book, tea bags which I ran out and I love her handmade envelope with stitches Kayenderes from Canada swap with me. I hope she likes what I sent her. 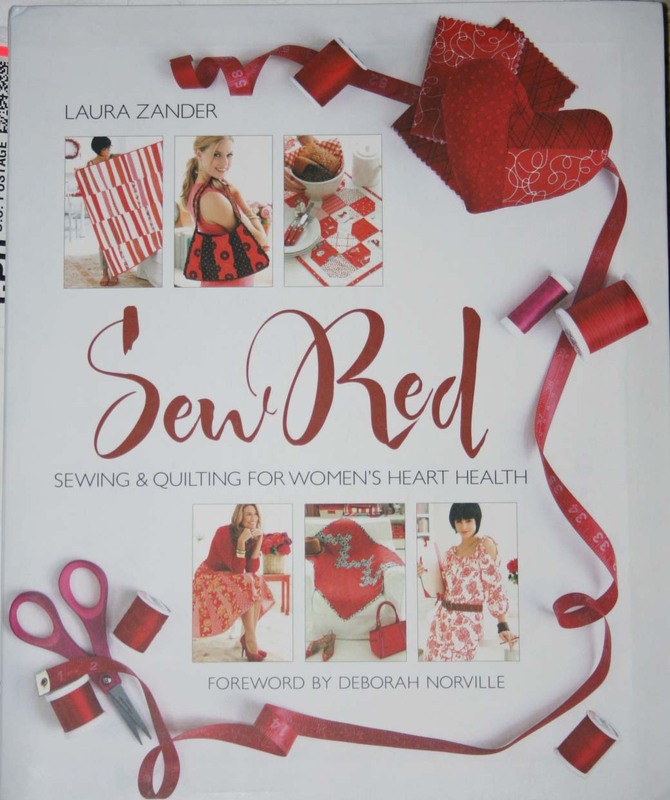 Sew Red Book, by Laura Zander I won on Vanessa's blog from V and Co. Thank you ladies for the wonderful gifts. Here is a sneak peak of what I put in the mail yesterday to my swap partner Karyli from Idaho in the Inchy Hexagon Flower Swap. 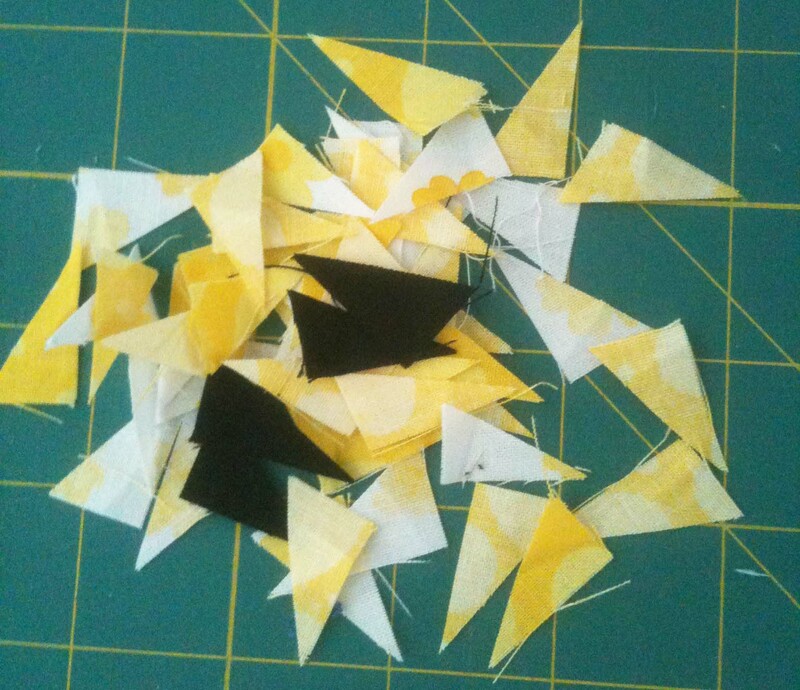 This is what was left after I was done sewing. I cannot show you until she receives her flowers in the mail. I hope she likes the sunshine from Texas. 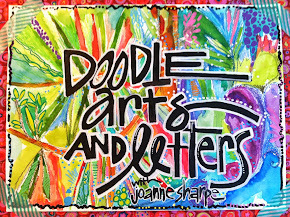 Today is the last day of the Nancy Drew Blog Hop held over on Madame Samm's blog. You can still see everyone's mystery posts. 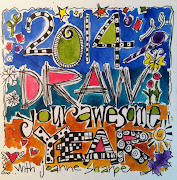 Click here for a full schedule if you missed any days. There are plenty of giveaways still going on. Something always comes up, and also in the middle of projects that are left sitting around for me to finished. I missed Christmas and one birthday has come and gone and more are on the way. I do need to get crackin'. It is feeling like spring here in the Gulf Bend and flowers are sprouting up. I wish you a wonderful warm and safe weekend.